Barbie loves matching two styles with each other. Let's see what she is up to today! 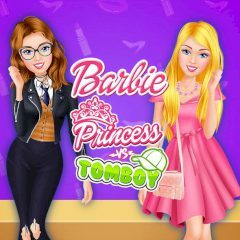 Who you want to be today, princess or a tomboy? This is up to you, so don't hurry and take your time. Open the closet and select clothes for this day!